REWILD Our Planet is Singapore's first Social Augmented Reality (AR) experience, jointly brought to you by WWF, Google, Netflix, ArtScience Museum at Marina Bay Sands and PHORIA. The experience connects people to nature and one another through immersive storytelling that blends cutting edge persistent AR technology with stunning content from Our Planet, a new Netflix original documentary series. It combines spectacular IMAX style projections with spatial soundscapes and AR to transport visitors to the last wilderness landscapes on Earth - from vast Arctic ice caps to the remote jungles of Borneo and coastal seas of Southeast Asia. 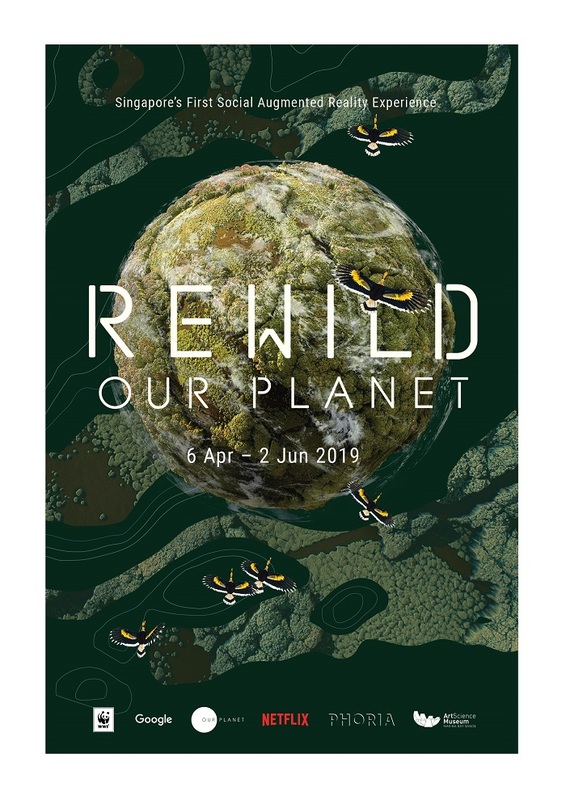 At REWILD Our Planet, visitors can interact with the environment and each other to understand how collective action is desperately needed to restore balance and protect the Earth's vibrant and diverse natural habitats.